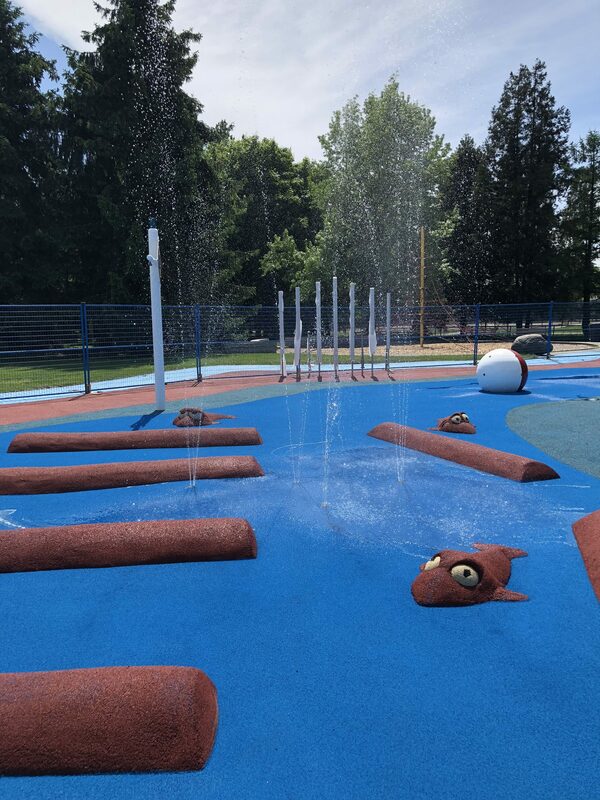 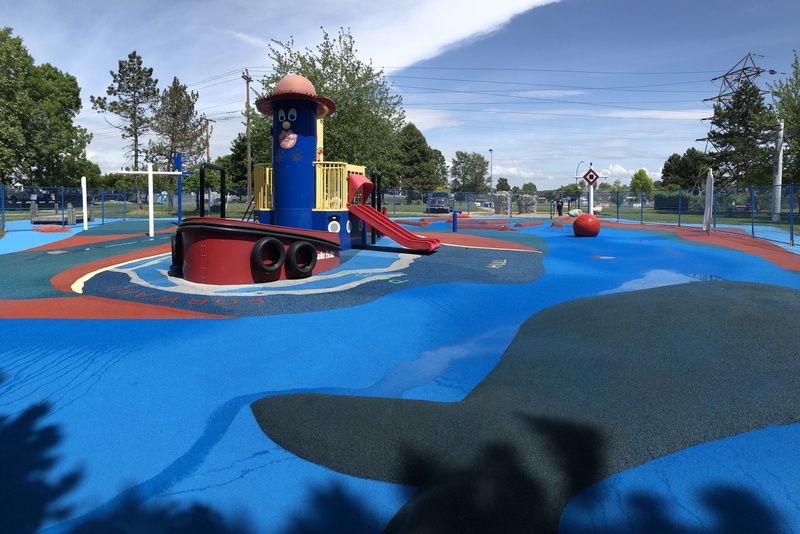 Ryall Spray Park located in New Westminster has been totally revitalized! 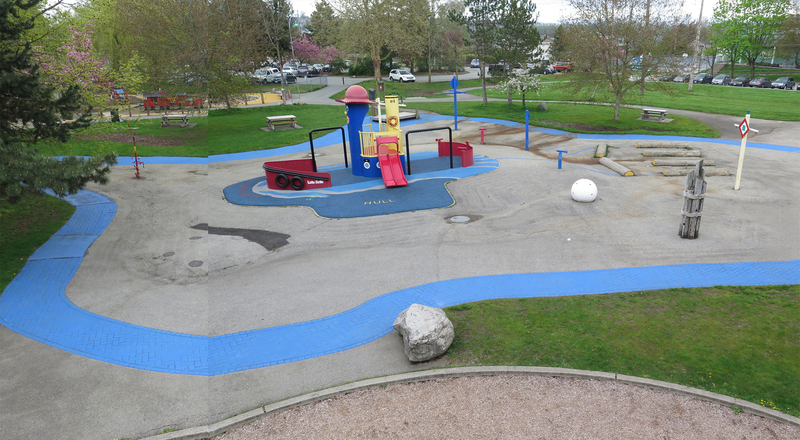 Marathon Surfaces brought to life the meticulously designed drawing of one of the City’s landscape architects. 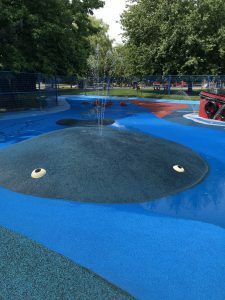 By installing our Landsafe rubber surfacing in a combination of sealed and porous systems we were able to create a lazy river effect. 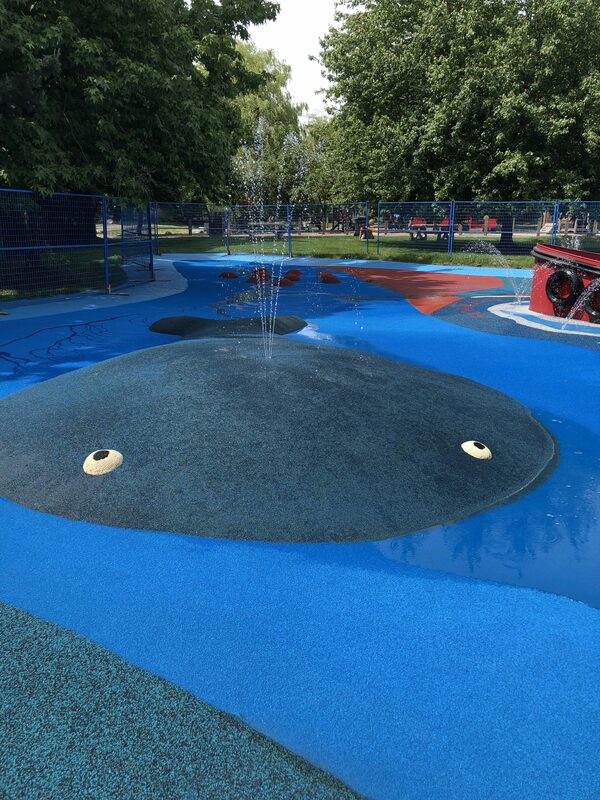 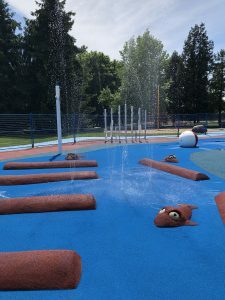 3D Design features include animated fish, log jam and giant water spouting whale mound. If you can dream it we can create it!